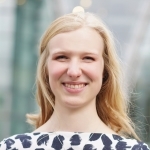 Nina Heyden, a US student on a Fulbright fellowship at the University of Essex, won the university’s 2018 Secondary Data Analysis Award for an MSc investigating the effects of immigration on the labour market. Here she discusses her journey of investigation with the data. In autumn 2014, my Italian class watched news reels of immigrants on rubber dinghies attempting to find refuge. It was the height of media coverage of the European migration crisis and my curiosity about what could be done to alleviate suffering was at a peak. 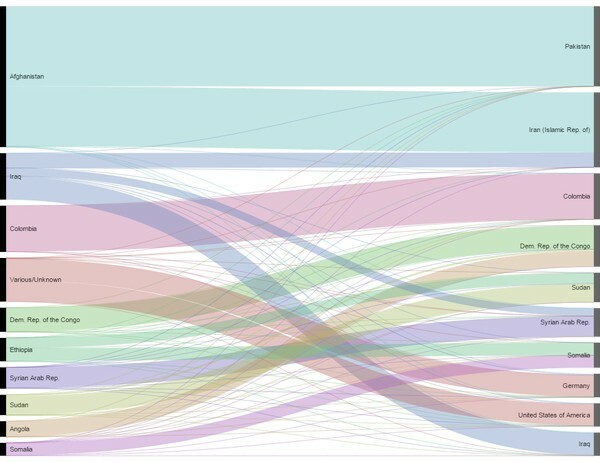 In response to overwhelming humanitarian challenges, the fields of statistics, economics, and data visualization offer me a logical, concrete approach to access the root of issues. 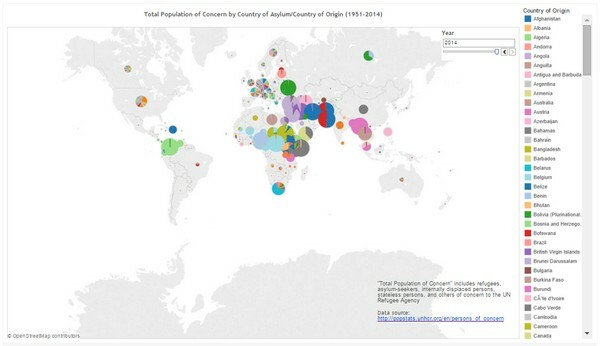 Diving into UN data, I conducted an exploratory analysis of immigration to provide an understanding of trends, using the program Tableau to publish interactive visualizations. 5 million Nepalese were internally displaced in 2006.
significant stocks of internally displaced persons in both Columbia and Syria in recent years. As my studies progressed, I began to examine how immigration impacts developed economies. In many cases, immigrants help reduce the budget deficit by contributing more in taxes than they use welfare and public services, whereas the reverse holds for the native-born population. Little evidence suggests that immigrants have negative effects on crime, education, health, or social housing. Nor has immigration significantly altered employment, wages, and wage inequality in the US or UK (Peri, 2014; Wadsworth 2017). I was surprised by the next-to-null effects of immigration on average wages for two reasons. First, the neutral evidence contradicts much of the negative sentiment toward immigration widely publicized. Perhaps more puzzling, it does not agree with the fundamental supply and demand laws every Econ 101 student learns. An increasing supply of labour should drive wages downward (Figure 3a). Yet taking a broader view, the supply shift does not happen in isolation: an increasing population also drives demand for goods and services—and the labour it takes to produce these—outward, reducing negative effects on wages (Figure 3b). Labour market flexibility is also facilitated when firms invest in technology and when native workers change jobs. To account for the lack of significant effects of immigration on wages, a growing number of studies propose that immigrant and native workers fill different jobs (Manacorda, Manning, and Wadsworth, 2012; Ottaviano and Peri, 2008; Foged and Peri 2015). With US data, it was shown that among those with secondary school or less education, native workers tend to be more efficient at communication and cognitive intensive tasks, while foreign-born workers tend to be more efficient at physical and manual intensive tasks. Immigration creates an incentive for natives to transition from occupations intense in physical tasks to those requiring more communication skills. Because communication or cognitive intensive occupations typically pay higher wages, native workers shield themselves from competition and potential decreased wages by specialising in the skills in which they have a comparative linguistic advantage (Peri and Sparber, 2009, p. 136). Applying quarterly data from the UK Labour Force Survey (LFS), I extended the US study to test the impact of immigration on skill specialisation in Great Britain from 2001 to 2010. The LFS contains detailed data on employment as well as demographic information which allowed for controls. I linked occupations to a US Department of Labor dataset on task intensity to construct the variable of interest—a communication-manual task intensity index. For example, financial managers and directors have the highest communication relative to manual (C/M) intensity (3.62), from dividing a communication intensity of 3.99 by a manual intensity of 1.10 (scores range from a scale of 1 to 5). Elementary construction occupations have the lowest C/M intensity of 0.95, based on communication and manual intensities of 2.64 and 2.77. (London is excluded from the scatterplot because it is an outlier in terms of high immigrant supply and high relative communication skill supply; Northern Ireland is excluded from the analysis due to restricted sample size.) Even without London, the strong, positive association between immigration and relative skill supply is statistically significant. The correlation supports the prediction that among the less educated, an increase in immigration inflow incentivises native-born workers to supply more communication skills relative to manual skills. 10 of the 12 government office regions of the UK are included; London and Northern Ireland are excluded. 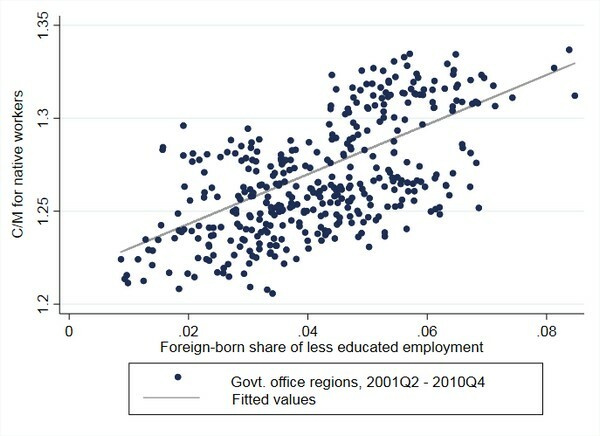 The fitted line is from a least squares regression weighted by less educated employment in the region. Immigrants with a secondary education or less assume different jobs than their Great Britain-born counterparts. Workers born in Great Britain with a secondary education or less respond to immigration by adjusting their occupations to avoid competing with immigrants. In particular, for each 1 percentage point increase in the foreign-born share of less educated workers, less educated native workers boost their relative communication to manual task supply by 0.62 percent. This estimate includes controls for variation over time, but not regions which overcompensate for differences in communication and manual scores. In reality, the change is likely indeed positive, but is probably lower in magnitude, after accounting for regional variation. The findings are in line with estimates by Börke Tunali, Fidrmuc, and Campos (2017) that from the 2004 EU expansion onward, immigration from A-8 accession countries has generated wage growth among low-skilled UK native workers (p. 7). What is the mechanism by which natives “upskill?” For example, does immigration incentivise native workers to further their education or training? Dickerson and Morris (2017) find increasing returns to analytical and interpersonal skills for UK workers from 2002 to 2016 which contrast the decreasing returns to physical skills (p. 13). What implications does this have for immigrants who often exhibit skill downgrading upon their arrival to the UK (Dustmann, Frattini, and Preston, 2013, p. 166)? Would economies be better off if immigrants’ skills were fully utilised? How can firms attract workers whose skills complement each other? Ultimately, further research on labourers’ skills is critical because as automation impacts work, it will become increasingly important to understand the changing nature of skill supply among workers—especially those with low education levels—who are vulnerable to change, yet capable of creatively adapting to it. I have shared my findings with policy makers as well as researchers tasked with assembling a report for the Migration Advisory Committee. Moving forward, I strive to continue to highlight trends in data concerning vulnerable populations, in hopes that governments and individuals may benefit from evidence-based insights. Nina Heyden was the 2017-2018 US-UK Fulbright University of Essex Scholar where she pursued an MSc in Applied Economics and Data Analysis. She is eager to contribute analysis and visualization of reliable data to engage community leaders, international organizations, and policy makers in fostering social unity and economic prosperity. Börke Tunali, Ç., Fidrmuc, J., and Campos, N.F. (2017) ‘Immigration, unemployment and wages: new causality evidence from the United Kingdom’, CESifo Working Paper Series 6452. Dickerson, A. and Morris, D. (2017) ‘The changing demand for skills in the UK’, IZA Institute of Labor Economics Conference Files. Dustmann, C., Frattini, T., and Preston, I.P. (2013) ‘The effect of immigration along the distribution of wages’, Review of Economic Studies, 80, pp. 145-173. Foged, M. and Peri, G. (2015) ‘Immigrants’ effect on native workers: new analysis on longitudinal data’, American Economic Journal: Applied Economics, 8(2), pp. 1-34. Manacorda, M., Manning, A., and Wadsworth, J. (2012) ‘The impact of immigration on the structure of wages: theory and evidence from Britain’, Journal of the European Economic Association, 10(1), pp. 120-151. Ottaviano, G.I.P and Peri, G. (2008) ‘Immigration and national wages: clarifying the theory and the empirics’, National Bureau of Economic Research Working Paper No. 14188. Peri, G. (2014) ‘Do immigrant workers depress the wages of native workers?’, IZA World of Labor. Peri, G. and Sparber, C. (2009) ‘Task Specialization, Immigration, and Wages’, American Economic Journal: Applied Economics, 1(3), pp. 135-169. Wadsworth, J. (2017) ‘Immigration and the UK Economy’, CEP Election Analysis Papers 039.